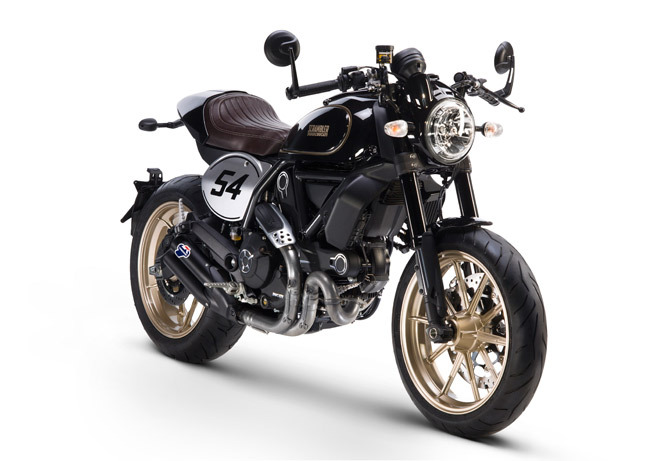 Ducati Motorcycles India has launched another variant of their Scrambler series- Café Racer. The bike is based on the Scrambler platform and it shares the underpinnings with the other outgoing Scrambler motorcycles. The new motorcycle is powered by the air and oil-cooled EURO 4-compliant 803 cc L-twin engine. The Desmodue engine of the new Scrambler Café Racer is capable of producing 73 hp of power at 8,250 rpm and 67 Nm of torque at 5,750 rpm. This motorcycle is a modern interpretation of the legendary Café Racer scene from the 1960s that triggered a motorcycling revolution. It represents the expression of free spirit and is an icon of style for enthusiasts. We’re very confident that with the Ducati Scrambler Café Racer, we will successfully bring the global cultural phenomenon to India as well. The new Café Racer possesses the best of the two worlds, the bike has the design language of the Scrambler brand and a sporty riding position. The Ducati Scrambler Café Racer features classic rear-view mirror mounted on aluminum clip-on handlebars. The bike also has Termignoni exhaust with dual tailpipes, black anodized aluminum cover and a dedicated seat featuring a cover for the pillion. The Scrambler Café Racer also has a dedicated line of accessories and apparel. The bike is now available in single Black Coffee colour with black frame and gold wheels across all Ducati dealerships in Delhi NCR, Mumbai, Bangalore, Pune, Ahmedabad & Kochi. Ducati has priced the new Café Racer at INR 9,32,000/- (EX-Showroom, India).